At Dolomite Mountains, our guides are passionate, experienced mountain enthusiasts who work year round in the outdoor industry, hold the highest guide certifications, and are dedicated to providing our guests an exceptional experience. Our guides are incredibly knowledgeable about the local terrain, culture, food and customs, and passionate about sharing them with you – you’re in their back yard after all! They live here, work here, play here, grew up here, trained here, and have a passion for the mountains – more specifically, a passion for these mountains. Just as importantly, they are fun to be with, and dedicated to making sure you have an outstanding experience and enjoy your trip in the Dolomites! Marika has also lived in the United States in Nevada, where she attended Sierra Nevada College on a sports scholarship, and won the women’s U.S. Collegiate Skiing Championships in 1998 and 1999. Competitive skiing also provided her the opportunity to travel around much of the United States, where she developed an excellent command of the English language and knowledge of American culture. In addition to English and her native Ladin tongue (a minority language recognized in parts of the Dolomites), Marika also speaks German and Spanish. In 1999, Marika returned to Italy to resume work as a member of the “forest police.” Working with the government, she was also able to do some ski patrolling and snow study. In addition to being a mountain guide (Marika earned her UIAGM/IFMGA Mountain Guide certification in 2009), she is also a ski instructor, federal ski coach, and was a top ranked ice climber in the mid-2000s. Marika is also a mother, and now we’re just waiting to see her child skiing and climbing along side her! Marco began hiking and climbing in the mountains with his dad as a child (he was born in 1979), and was delighted by the “mythical gymnasium” of the via ferrata. As he grew older, he continued to explore and climb with his friends, improving his skills by taking courses in the mountains near his home town of Padova. He completed his mandatory military service as a young adult – and was fortunate to be assigned to the Alpini, an elite division of mountain soldiers, where he became a climbing instructor and ski rescuer. The impetus of his desire to transform his passion into a profession is clearly written in the rock walls of Italy! After years of preparation and training, Marco earned his UIAGM/IFMGA Mountain Guide certification in 2009, fulfilling one of his life’s greatest dreams. Today, in addition to guiding, he is a volunteer with an association of ex-Alpini that carry out social welfare projects, and in the past has served as a Boy Scout troop leader in his home town. When Marco is not in the Dolomites, he resides in his native Padova with his wife and child, where he manages two indoor climbing gyms. Marco is fluent in Italian and English. And to this day, he still goes out on excursions with his father! M assimo was born and raised in the mountains of northern Italy, in the Natisone River Valley near the Slovenian border. A stone’s throw from Slovenia’s Julian Alps, he spent his childhood walking, climbing, and skiing in these mountains, discovering his passion for and the beauty of the Alps. While Massimo is based in the Dolomites, he has also guided in other areas of the Alps including Austria, Switzerland, France (including Chamonix), and of course, neighboring Slovenia. He loves to explore, and whether it is in the Dolomites or beyond, and enjoys taking guests on routes where none of them have been – including himself – so that there is a unique, new adventure for everyone! He is fluent in English, Italian, German, French, and Slovenian. I t seems Luca was always destined to be a guide. Born in 1965, he has been skiing since he was seven, rock climbing since he was 18, and ice climbing since he was 19. While he is an electrical engineer by training, he is a mountaineer at heart, and his passion for the outdoors has driven him to travel the world – Luca has skied and/or climbed on almost every continent! Luca is originally from Legnago in the northeast corner of Italy (in the province of Verona), and currently resides in the Dolomites in Bolzanowith his partner and their young child. He is bilingual, fluent in both English and Italian. Not only is he an exceptional and enthusiastic guide, he has also been able to combine his engineering background with his passion for sport, with projects ranging from installing rock climbing walls to teaching rope work and tree climbing safety systems. 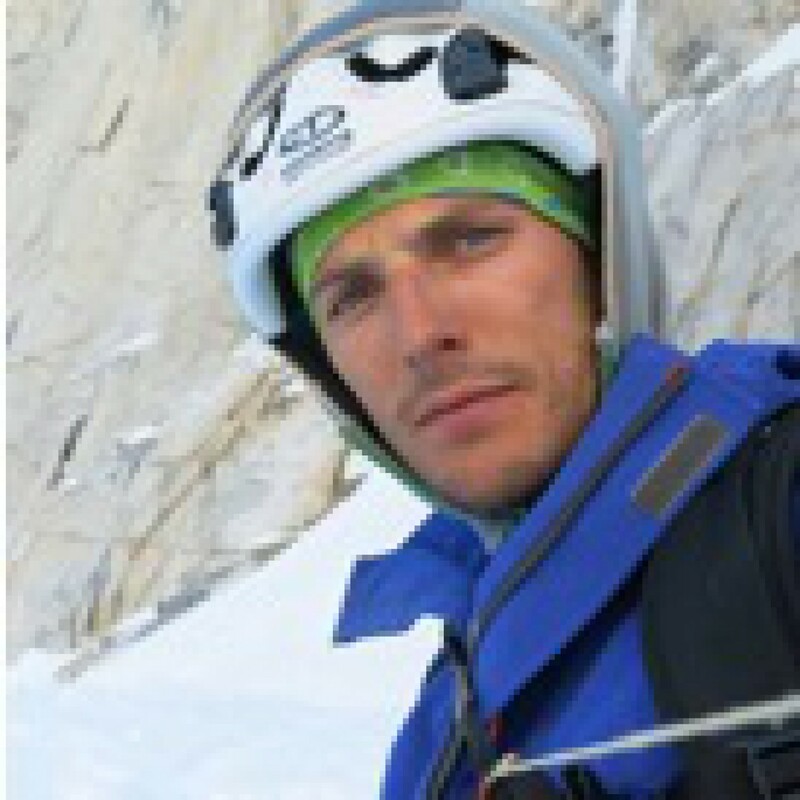 Luca earned his UIAGM/IFMGA Mountain Guide certification in 2003, and works as a trekking, mountaineering, rock climbing, canyoning, snow shoeing guide, heli skiing, ski touring, off-track-skiing, ski safari, ice climbing, mountain biking, and paragliding guide. Somehow he also finds time to compete in mountain biking, ciclocross, and ice climbing events! “The curiosity to know new places, have different experiences, and to share sports activities with other people, is the spark that lights me. The recent birth of my son Milo has further enriched the emotions of my life." A phrase that identifies Luca: "Every day deserves to be lived as if it were the last. One life, live it!" M arcello was born in Genova, Italy, in 1961. He is no stranger to travel and new places, as his father worked with major oil companies when he was a child and they moved frequently. Marcello began to visit the mountains early on, and had his first experience of mountaineering when he just sixteen. Immediately fascinated by this world, he began to make friends older climbers who had more experience in the mountains, so that he could learn as much as possible, as quickly as possible. At eighteen, he was already able to climb a grade 7 mountain (at the top of the difficulty scale), and since then he has dedicated his life to climbing and skiing. In 1984, Marcello moved to the Dolomites, became a professional UIAGM/IFMGA Mountain Guide at age twenty-three, and started to make a living from his newfound profession straight away. He is an extreme skier and alpinist, and has climbed a good number of the great classic routes in the Alps and a number of Himalayan summits. He is a pioneer of speed climbing in the Dolomites, where he opened over 20 new routes, and made the first ski descents of a number of steep faces in the Eastern Alps. He not only shares his passion with clients, but he has also been an instructor of mountain-guide courses since the early 2000s. In 1992, Marcello led the first guided ascent of Cerro Fitz Roy. In 2014, 22 years later, he repeated this feat, but on Cerro Torre, leading the first – and only, as of 2014 – guided ascent up Cerro Torre’s ice and rock walls. A documentary of this journey was made: Il Cerro Torre Secondo Me (Cerro Torre According to Me) where he tells the story. Click here to watch the trailer on YouTube. For over 20 years, Michele has been living in and climbing the mountains all over Italy. He enjoys every aspect of living in the mountains, especially experiencing all of their seasons. In the summer, he loves walking the trails and climbing the rock faces along the historic itineraries of the first World War; in the winter, he loves skiing down snow clad backcountry, roaming on snowshoes, or climbing up the “sleeping” water with his ice axe to discover the magic world of frozen waterfalls. Michele has made over 500 climbs across the arc of the Alps, including the Italian Alps or Dolomites, opening new routes and winter ascents. Michele has also explored the peaks of far away countries, appreciating the extensive views from great heights in Alaska, Turkey, Nepal, France, Austria, Peru, and many others. “I love to explore places of the world far and different from those where I live, continuing on foot, encountering people, walking, climbing or skiing, in order to have the time to appreciate everything that surrounds me.” In 2007, he made the first Italian crossing of Alaska’s Mount McKinley (Denali) from North to South in alpine style in just 22 days, with only his climbing partner. In the Himalayas of Nepal, he has designed treks and crossings, guiding his customers along new and little frequented routes, including summiting Ama Dablam, Sumna Peak, and Himlung Himal. And he was among the first to visit the Anti-Taurus (Aladaglar) mountains in Turkey, where in the early nineties he opened four new routes with difficulty VII with his climbing companions. Carlo was born in Padua in 1988 and is a mountain lover in all its forms. He has been spending time in the mountains since he was a child, thanks to his parents who supported this passion. He started skiing at the age of 4, with the wonderful Roda Vael in the Dolomites as a backdrop – a place he still loves to ski. Climbing became a passion a bit later. There were day trips with his father, but it wasn’t until age 14 when he climbed at the Dolomites’ Cinque Torre (five towers), when his passion was born. 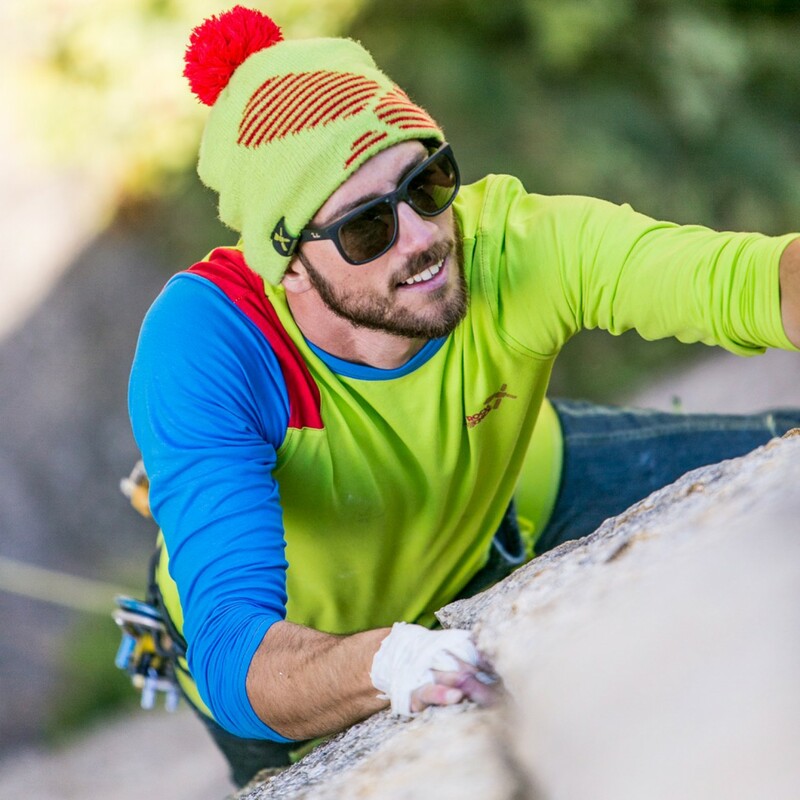 Having also played rugby most of his life, after just two years of climbing he surrendered this other athletic pursuit to dedicate himself fully to his new passion of climbing. Carlo began to climb more and more often, taking climbing courses with Alpine Guides. It is not surprising then that he would soon become one of them! Close to home he climbed on the cliffs of Rocca Pendice and Lumignano each day after school. As he developed his skills, started to explore the grander paradise of the Alps: Mont Blanc to Monte Rosa, the Ortler group, Cevedale, etc., in both summer and winter. Throughout, however, he always remained very fond of the Dolomites. At 18, during his last year of high school, Carlo became a sport climbing instructor (STEPS), and set himself firmly on the path to become an Alpine Guide. He graduated from the University of Padua in 2011 with a degree in Physical Education, all the while climbing and training. Throughout his last year in school, Carlo concurrently trained and studied to become an Alpine guide, and in September 2012, he became an Aspirant Mountain Guide at age 23. Two and one-half grueling years later, his dreams were realized, and at the age of 26 he became a UIAGM/IFMGA Professional Mountain Guide. Carlo has climbed all over the Alps, and taken part in expeditions outside Europe, two of which earned him the nomination in two important World Mountaineering Awards: Piolet d’Or (French for The Golden Ice Axe) and the Grignetta d’Oro. In 2013 he placed second in the Italian Freeride Ski Championship. Today, in addition to being an Alpine Guide, Carlo is a National Climbing Instructor. “Now I want to be able to transmit my passion and all that has been transmitted to me in recent years to all those who I will choose as a companion to adventures.” He is fluent in English and Italian, and divides his time between Padua and the Dolomites. Born in Colfosco, Alta Badia, a province of Bolzano in the Dolomites, Andrè wasn’t always a mountain guide. In fact, his first profession was as an electrician, something he still does during the off season. The call of nature, however, was too strong and he became a ski and snowboard instructor at the ski school in Colfosco in 1993. He is particularly passionate about skiing off piste on the beautiful mountains of the Dolomites. The warmer months find Andrè cycling the breathtaking trails that weave through the forests and the mountains of the area, as well as along the many Dolomite passes. If he’s not cycling, he’s hiking somewhere or climbing a via ferrata, especially on his favorites Tomaselli, Piz da Lech, and Mesules. A world traveler, some of Andrè’s fondest memories involve visits to Thailand, Australia, the Caribbean Islands, as well as biking in Mallorca and Tuscany, Sardinia, Marche and the Alps. He is fluent in six languages: his native Italian, German, and Ladin (a minority language recognized in parts of the Dolomites), in addition to English. At home in the Dolomites, Andrè likes to dine on traditional Dolomites dishes like turtres (fried, stuffed pancakes), Spetzle, gnoch da zigher (cheese dumplings), and enjoy a glass or two of the excellent wines from Alto Adige – Gewuerztraminer and Lagrein. 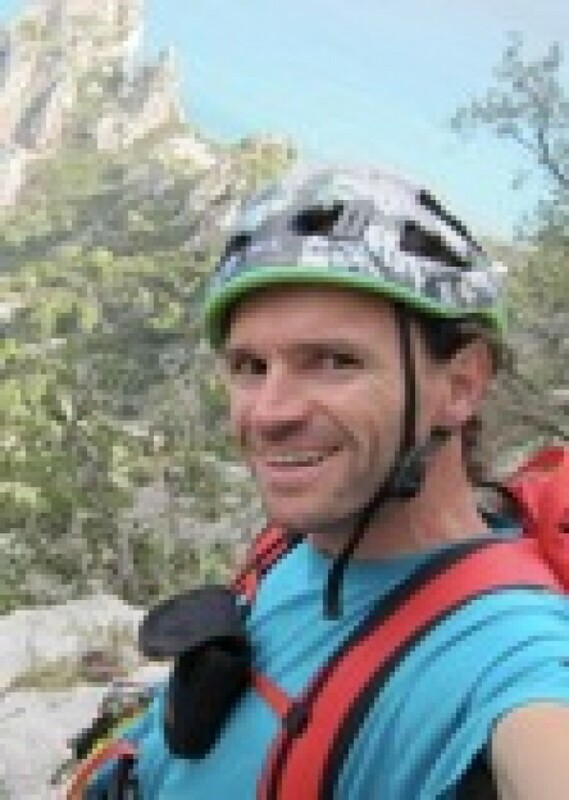 Andreas began guiding hiking and mountain biking in 1998. An avid cyclist himself, according to his friends he has clocked millions of kilometers on his bike (although he claims it’s “only” thousands). In addition to guiding, he shares his passion for cycling by coaching kids. During the winter, when the trails are covered in snow, Andreas is an inexhaustible skier, ski instructor, and ski guide. He skis in every discipline – alpine, backcountry, telemark, cross country, as well as snowboarding (he has been an AMSI and ISIA certified ski and snowboard instructor since 1995). When he is not on a bike or skis, he is also a runner, climber, and paraglider, and has raced in almost every sport imaginable – currently ski mountaineering, cross country skiing, trail running, running, cycling marathons, mountain biking, and in the past downhill skiing, swimming, duathlons (run-bike-run). And, as if that weren’t enough, in addition to his athletic pursuits, Andreas is a furniture maker! Andreas a native of La Villa, in the Alta Badia valley of the Dolomites. He loves to explore, and became a guide so he could increase the knowledge of the area where he lives – the incredible Dolomites. He is fluent his native Italian, German, and Ladin (a minority language recognized in parts of the Dolomites), as well as English and Spanish, and also speaks a bit of French and Russian. He currently lives in La Villa with his family, including his brother Ivan, who has also guided for Dolomite Mountains. Ivan was born in La Villa, Alta Badia on August 8th, 1969. At young age Ivan showed interest in art studies, he went to art college in Ortisei (Val Gardena), and later continued his studies at the prestigious art academy “Accademia di belle Arti” in Milan. In addition to art, Ivan is also a keen photographer and went to Santiago, Chile to study photography at professional level. In 2003 he returned to his home town in Alta Badia and decided to pursue the mountain guide career, for which he underwent a long series of examinations and challenges. Ivan loves to explore and to share his passion for the great Dolomites with his clients. In winter months, Ivan and his brother Andreas are often seen on the slopes, both as ski instructors excelling at every discipline: downhill, cross country, ski touring and telemark. Ivan speaks several languages fluently: his native tongue Italian, German, and Ladin (a minority language recognized in parts of the Dolomites), as well as English, Spanish, and in recent years he learned some French and Russian. He currently lives in La Villa with his family, including his brother Andreas who also is a valued member of Dolomite Mountains’ team of mountain guides. 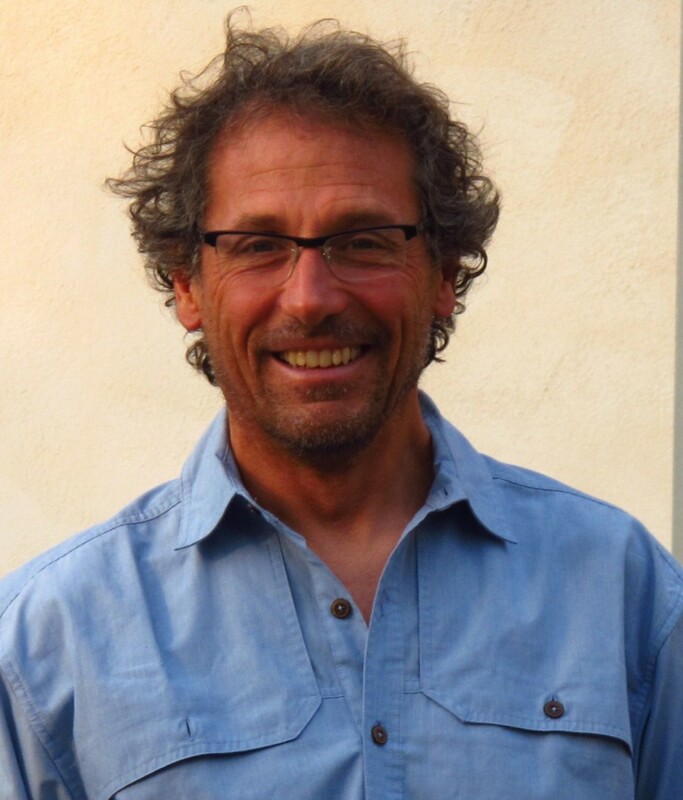 A native of the Dolomites, Richard hails from La Villa in the Alta Badia valley. He began his career working for the forest service, where he did trail maintenance in the Puez-Odle and Fanes-Senes-Braies Natural Parks, repairing trails with new steps made of stone and wood. He also worked cutting trees to clear the way for new forest roads, as well as planting trees to serve as avalanche barriers. After working for the forest service for numerous years, the expression of his love for the outdoors shifted to working with people, and he began guiding in 2010. 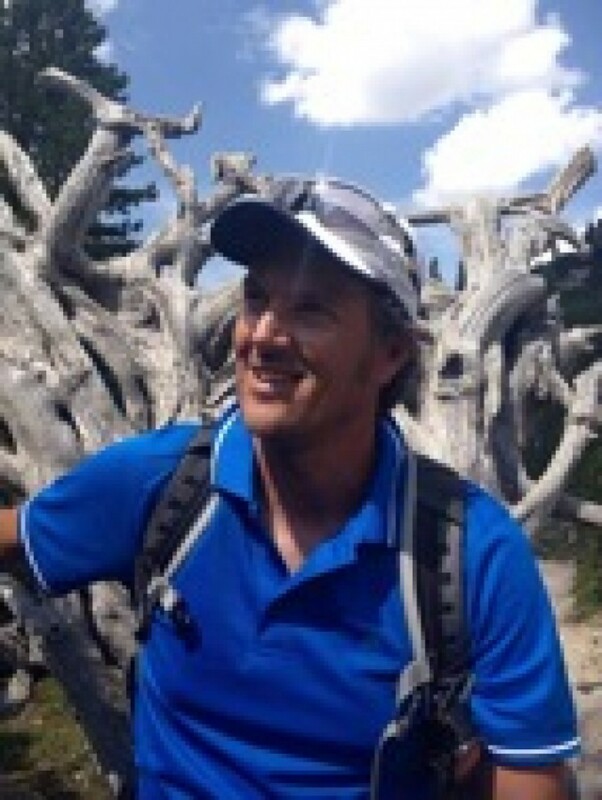 In the summer Richard guides hiking and biking trips. He loves to road bike, hike, and trail run, but his true passion lies in mountain biking – he is always looking for new trails to explore, and pushing the limits of what hiking trails can actually be cycled! In the winter he is an alpine ski, telemark ski, and snowboard instructor at the Dolomites ski school. His outdoor forays quickly turn to the same trails he cycles in summer, now covered with snow, backcountry ski touring on skins in search of untracked turns. When Richard was younger, he played soccer on the Alta Badia Team. If you walk with him through the valley, you may hear people greet him as “Bokšić” – he is the spitting image of Alen Bokšić, the Croatian player from the Italian Juventus football club! Richard is fluent in four languages: his native Italian, German, and Ladin (a minority language recognized in parts of the Dolomites), in addition to English which he learned in high school. He met his wife in his home town of La Villa, in Alta Badia, where they currently reside with their two daughters. Andreas has always had a deep passion for the mountains. Born in 1987, he learned this from his father at an early age; as a child he started hiking during summer and skiing in winter. This led to several years skiing competitively. In 2008, at age 21, he earned his ski instructor degree, turning his passion into a real job! In the winter, he works at the ski school "Dolomites” at La Villa in Alta Badia. But what to do in summer? The following year he began to learn to paraglide, but this was quickly trumped by bicycling – his real passion. It all began with a road bike. Amazed by the beautiful scenery of the Dolomites, he began riding. In 2010 he qualified as a bike guide, and started work at a cycling company in Alta Badia. In Andreas’ free time, he trains for various amateur cycling races and of course for the legendary “Maratona dles Dolomites” where he consistently places well. To add to his guiding repertoire, in 2014 he graduated as a hiking guide. Andreas currently lives in La Villa in Alta Badia. He is a native Ladino, and speaks Ladin, German, Italian, and a bit of English. Francesco, or “Franz,” lives in Tione di Trento, Italy, at the foot of the Brenta Dolomites, a place he considers among the most beautiful in the world. The Brenta, or Western Group of Dolomites, are the most remote and wild Dolomites, so for some they are too isolated. But Franz personally loves this distance from civilization, and has even made a habit of waking up early in the morning to experience their peace. Born in 1989 in Rovereto, Franz grew up just east of the northern tip of Lake Garda, just an hour from where he currently resides. He studied the impact of agricultural practices on the environment, and graduated as an agro-environmental expert. Before becoming an Alpine Guide, Franz was already a passionate and active mountaineer, and has opened at least 50 new routes, which – in his opinion – is “the most adventurous expression of mountain climbing.” He has also retraced hundreds of classic and sport itineraries in the Dolomites, the Sarca Valley, and Mont Blanc. In South America he has climbed Cerro Torre, Fitz Roy, Aconcagua, and many more. Whenever possible, Franz documents his experiences in order to convey at least part of the incredible emotions the mountain can give, and his climbs are often featured in collaborations with magazines, websites, and documentary films. When he is not guiding, Franz spends his time exploring different mountain ranges, large and small, including mountains near the sea. In 2016, he spent 300 days up in the mountains, with 50 of the nights in a sleeping bag! Franz speaks English (he says “not perfectly, but I am improving”) and Spanish, in addition to Italian and German. Born in 1975 in a small village at the foot of Monte Grappa, in the foothills or pre-Alpi of the Dolomites, Evaristo started exploring his surroundings at very young age. With his father by his side, the two looked for artifacts and various other items left behind by the Italian troops during WWI. In the winter months, they travelled further up into the mountains and enjoyed skiing together in the Dolomites. A few years later, at age 19, Evaristo discovered a natural rock cliff just 5 minutes from his home. It was here that he made his first steps as a climber, and it was love at first sight. From then on, Evaristo seemed to spend more time at the cliff than at home with his family, nurturing his newly discovered passion and practicing his slowly improving climbing skills. Throughout he was making friends with climbers from the area, and quickly discovered the bounty of natural climbing areas in the Dolomites. But then winter came, and winter months can be long and boring for keen climbers, eagerly awaiting for spring to start climbing vertical rock faces again. It was during one long winter that Evaristo was introduced to ice climbing by one of his closest friends, an Alpine Guide. This was exactly what he needed to keep himself entertained in winter, which along with ski touring, it became his favorite winter past-time. In the late 1990s, at age 24, Evaristo and some friends got involved in the construction of one of the very first professional indoor climbing walls in Italy. This meant that so winter would no longer drag on forever, and climbing became a daily, year-round routine. Some years later, with no shortage of sacrifices and hard work, Evaristo became a qualified UIAGM/IFMGA Professional Mountain Guide, and started guiding on a regular basis. Peter was born in Badia, Alta Badia a province of Bolzano in the Dolomites. The call of nature, however, was too strong and he became a ski instructor at the ski school in Badia in 1993 and a few years later he was voted as director of the ski school. He is particularly passionate about skiing off piste on the beautiful mountains of the Dolomites. 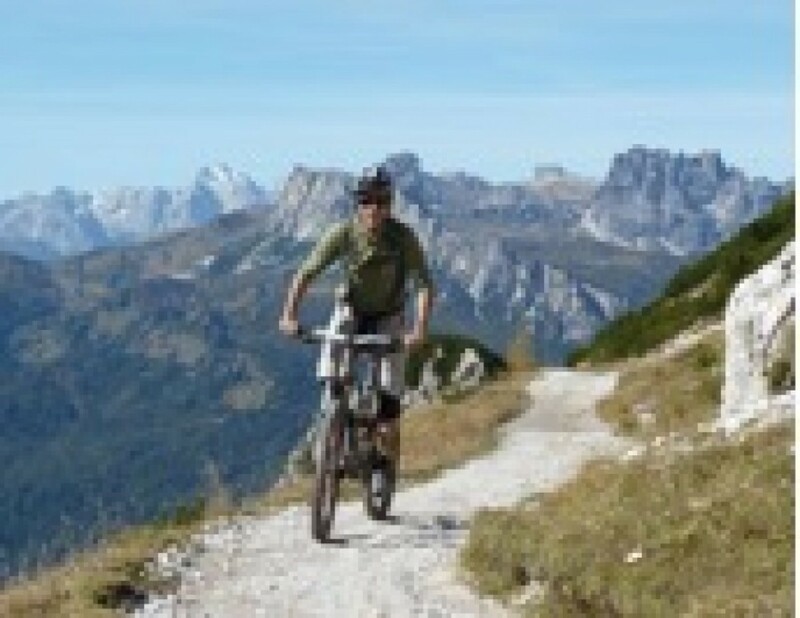 The warmer months find Peter cycling the breathtaking trails that weave through the forests and the mountains of the area, as well as along the many Dolomite passes. If he’s not cycling, he’s hiking somewhere or climbing a via ferrata, especially on his favorites Tomaselli, Piz da Lech, and Mesules. Luca was born in Cividale del Friuli near the Austrian and the Slovenian borders. During his childhood he spent a lot of time in the mountains, especially in the Dolomites and mostly under his father and family’s guidance. Luca started to ski at the age of three, he managed his first climb at the age of six and he accomplished his first Via Ferrata (The Trenches) at the age of seven. his life becoming a hiking guide at the Veneto Board of Alpine Guides and finally, three years later, he attended the International Mountain Leader title becoming an UIMLA member. Luca speaks Friulano, Italian, English and a little bit of German. Beside the mountain activities he loves to relax, cook, drink a fresh beer and play with his cats. Fabian is native of the Dolomite Mountains, from Colfosco in Alta Badia. He was born in 1985 and inherited the passion for the mountains from his father. At the young age of 3, he did his first climb with his grandfather! While Fabian studied to be an accountant (and currently collaborates with an accounting firm in Corvara), he never stopped climbing, hiking, and engaging in other activities in nature. In the summer, Fabian’s spends his time climbing, mountaineering, trekking, and biking. In the winter, you’ll find him skiing, ski-mountaineering, and ice climbing. 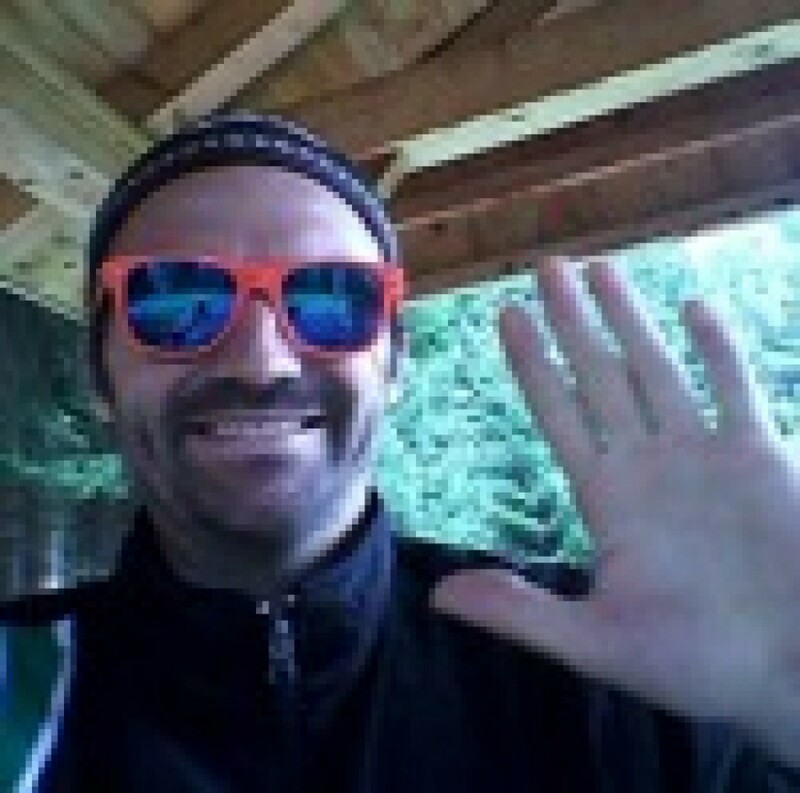 Since 2013 he has been an AMSI (Association of Italian Ski Instructors) and ISIA (International Ski Instructors Association) certified ski instructor, and specializes in freeride and telemark skiing. He teaches at the Colfosco Ski and Snowboard school in winter. In 2003, he earned his Tandem Paragliding license. For Fabian, paragliding offers a unique feeling of freedom gliding, flying without noise – an incredible sensation. “You can reach a peak of a mountain in a few minutes, but if you climb the same mountain, you need hours. 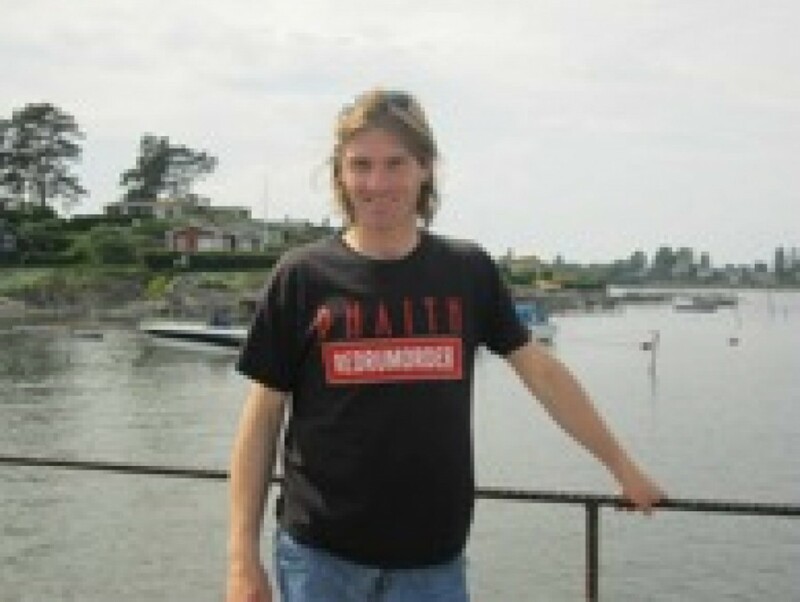 In addition to his personal and professional outdoor pursuits, Fabian does extensive outdoor volunteer work. He has been part of the Alta Badia rescue team since 2003, and a heli-mountain rescuer since 2006, as part of the Aiut Alpin Dolomites (“mountain rescue in the Dolomites” in Ladino). He is also a volunteer firefighter. Beyond the Dolomites, Fabian has climbed and ski and skied in Austria, France, Switzerland, Corsica, Spain, Germany, and Croatia, as well as Sardinia and other areas in Italy. While he really likes Sardinia, where you can enjoy a lot of sports year round, the Dolomites are his home. He loves the shift from summer to winter here, where you can experience the same place in different ways. Fabian likes guiding clients because he likes to “explain and show them our beautiful mountains. On the other side, I see it like an exchange of minds, and often I learn a lot of things that I didn’t know before.” He is fluent in English, Italian, German, and the native local language, Ladin. Born in 1979 and raised in Cortina D’Ampezzo, Jacopo Corrocher is passionate about the Dolomites and a keen sportsman. 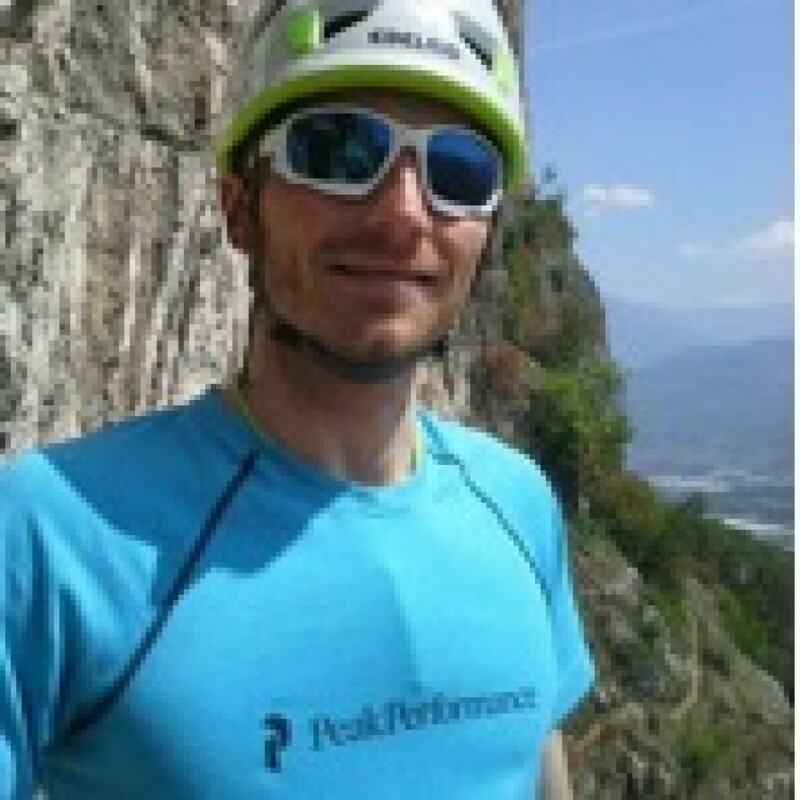 Shortly after obtaining his degree in Forestry and Environmental Science, Jacopo became a qualified Ski Instructor and currently collaborates with the Alta Badia Ski & Snowboard School and during the summer Jacopo is an avid mountain biker. Since the age of 15 Jacopo has participated and competed in regional and national MTB racing events, and in 2008 he obtained his national Mountain Bike qualification. Jacopo also specializes in teaching MTB techniques to children. Jacopo speaks Italian and English. German born Miriam has fallen in love with mountains at young age, when at the age of 3 she wore her first pair of skis. During her youth Miriam lived in Switzerland surrounded by idyllic landscapes and consequentially her passion for peaks and summits grew stronger, she started ski touring in the area but also in the Austrian and French alps, as well as in the less known Abruzzo mountain range in central Italy. When she developed a strong connection with the sharp vertical formations of the Dolomites she decided to make South Tyrol her new home and moved to Brunico in val Pusteria. In winter she works for the Dolomites Ski School in Alta Badia and she also worked for ski schools in Stubai and Kitzbühel in Austria. She speaks German, Italian and English. 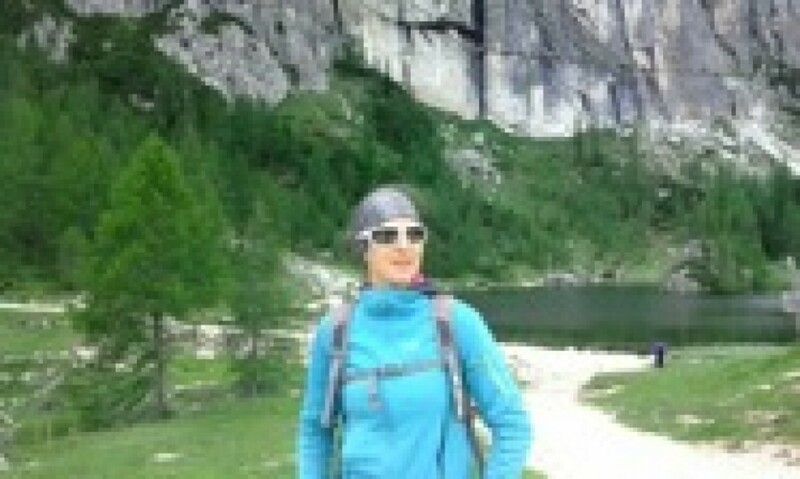 Miriam also teaches German, when she is not off-piste skiing in the amazing Dolomites. Miriam is passionate about sharing her enthusiasm for nature and offering long lasting memories to her guests.